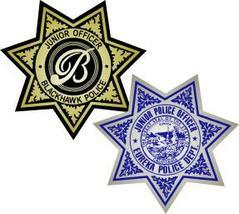 Custom printed star badge shaped stickers for your police or sheriff department's name. 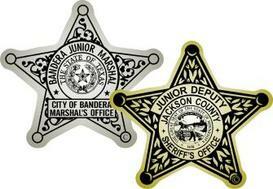 Junior deputy sheriff badge stickers are ideal for community and school events. 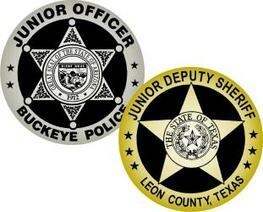 Sheriff badge stickers are perfect for sheriff candidates as lapel stickers. Star shaped badge stickers are ideal for western theme events, restaurants and ranches too. 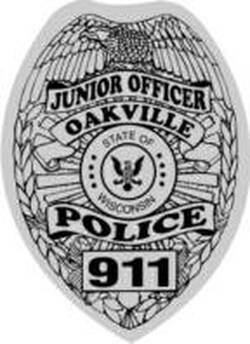 Badge stickers make kids smile! Sticker Size: 2-3/4" x 2-3/4"
Sticker Size: 2-3/4" x 2-1/2"
Sticker Size: 2-7/8" x 2-3/4"
On rolls (1,000) with a perforation between each sticker. Are you a candidate for Sheriff? 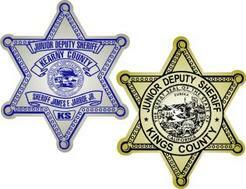 Let us design a star shaped sheriff badge sticker for your political campaign.